You can target 1 Dragon-Type Normal Monster you control; equip this monster from your hand or your side of the field to that target. 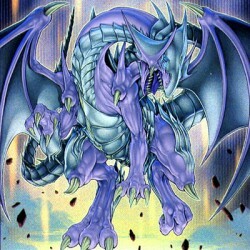 If a monster equipped with this card attacks a Defense Position mon.. If your opponent controls a monster and you control no monsters, you can Special Summon this card (from your hand). This card cannot attack during the turn it is Special Summoned this way. When this c..
During your Main Phase: You can return this card from the field to the hand. During either player's Damage Step, when a LIGHT monster you control battles: You can send this card from your hand to the .. Send 1 Dragon-Type monster from your Deck to the Graveyard, then, if that monster in your Graveyard is a Dragon-Type Normal Monster, you can send 1 more Dragon-Type monster from your Deck to the Grave.. Send 1 face-up non-Effect Monster you control to the Graveyard; draw 2 cards..